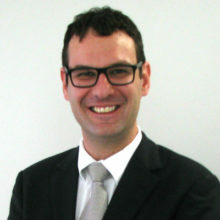 Altus Mouton is a Compliance Officer with Masthead (Pty) Ltd. He joined Masthead in August 2008 as a Compliance Consultant and was approved as a Category I Compliance Officer by the FSB in 2011. He obtained a LLB degree through the University of Pretoria in 2005 and a Postgraduate Diploma in Compliance Management through the University of Johannesburg in 2014. He was admitted as an Attorney of the High Court in 2007. Altus is currently the mentor of two Compliance Consultants employed by Masthead as part of an Internship programme. Amy Coetzee has a degree in BA (Hons) in English Literature and a Bachelor of Law degree, both from the University of the Witwatersrand. She has been in the industry for 2 and a half years. She previously worked in a graduate program as an administrator for an asset management company. She has been with Masthead for 18 months. She is in her second year of training to be a Compliance Officer and will qualify in October 2018. Amy has passed her RE 1 exam. She enjoys the fact that the industry is constantly changing. There is always more to learn; either because of the industry and legislative changes or as a result of interacting with the FSPs themselves. A key component of her role is that, as a CO, you can provide support to a FSP in multiple ways; especially when it comes to implementing existing and new regulation, making it relevant to each individual FSP. Jeanine is the Practice Management Consultant in Johannesburg where she assists IFAs and industry colleagues to grow a profitable and sustainable business. This is presented in the form of seminars and face-to-face consulting. She identifies opportunities for development within businesses, and can assist with practice valuations and succession planning. She obtained her LLB degree from the University of Pretoria in 2007 and was admitted as an attorney of the High Court in 2009. 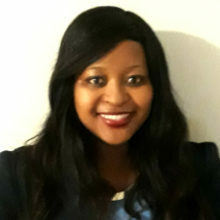 She obtained a National Credit Regulator Debt Counselling certificate in 2011 and a Postgraduate Certificate of Competence in Banking and Financial Markets from the University of Witwatersrand in 2014. Jeanine joined Masthead in January 2017. 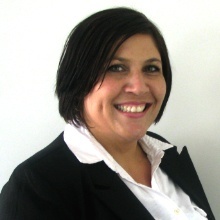 She was a practising attorney and the sole practitioner at De Swardt Attorneys for five years, where she specialised in consumer credit law, debt recovery and general civil litigation. Relebohile is a B. Com (Economics and Risk Management) graduate from the North West University. She has been in the industry for 3 years and has been operating as a Compliance Officer since entering the industry. She previously worked as a Compliance Officer at Alexander Forbes. Relebohile enjoys demonstrating to FSPs how compliance can improve their business, especially those who see compliance as a tick box exercise and a hassle. Key components of her role is to monitor and provide input on adherence to compliance requirements and to ensure that FSPs manage their risks. 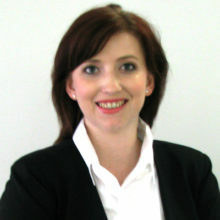 Rika Pieterse is a highly qualified Compliance Officer who holds the following qualifications – Advanced Project Management; JSE Derivatives Compliance Officer; Regulations and Ethics of the SA Financial Markets; Compliance and Ethics Certificate; Compliance Monitoring; Introduction to Compliance and a Paralegal Diploma. She has been in the industry for 9 years and has spent all of this time operating as a Compliance Officer. Rika enjoys providing guidance on compliance matters that can help to enhance and grow FSP businesses. She is dedicated to providing assistance and guidance to ensure that FSPs comply with regulatory requirements so they can remain in the industry. 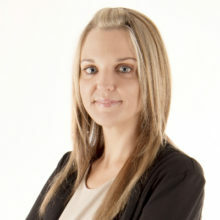 Tracey Wright is a Compliance Officer at Masthead (Pty) Ltd, which delivers unique compliance, risk management, practice management and business intelligence services to financial service providers. She has 28 years of experience in the financial services industry. She spent 18 years of her career in the Retirement Fund and Employee Benefits arena, part of which included being a Broker Consultant. In 2007, after 14 years as a Broker Consultant, she decided to move away from sales and into Compliance. She has a National Certificate in Wealth Management. Tracey has worked as a Compliance Officer for 10 years. She was an internal Compliance Officer for Sanlam Developing Markets and Channel Life prior to joining Masthead (Pty) Ltd in May 2013.